We review the most popular Nissan 370Z turbo kits available on the market today. This is the ultimate 370Z turbo kit guide. Nissan’s latest offering in the Fairlady series provides arguably the most stunning design to date and it’s easy to see why so many people are desperate to get their hands on this modern-day masterpiece. 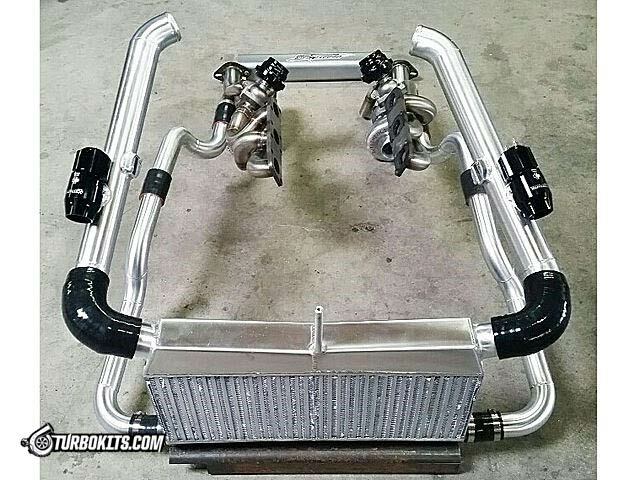 Tuning up your 370z? Try our exhaust, test pipe and coilover guides. With 330bhp being pushed out of the stock 3.7 liter VQ37VHR V6, it’s more than enough power to maintain a grin on your face on your trip to the local meet. However, what about when you want to cause an upset on the highway against a higher powered car? Or if you want to start beating the lap times on the circuit? Or producing huge clouds of smoke as you throw the car sideways? We’re going to show you how to turn this incredible car into the ultimate sleeper as your 370Z turns into a potential supercar killer. With plenty of options available when it comes to supercharging or turbocharging your 370Z, it mainly comes down to personal preference to decide which method is best for you. Be sure to take five minutes out to read our detailed turbocharger vs supercharger guide to see what is the right type of forced induction for your Z34. We’ve written this guide to help you narrow down the difficult decisions when it comes to turbocharging your Z and find the perfect kit for your needs. Purchase link: Buy GReddy Tuner Kit at Rev Works. Our comment: U.S. based AAM introduced their offering in 2014 using new twin-turbos from their partnership with BorgWarner. This quickly became one of the most sought-after offerings and to this day quite possibly the most commonly found kit amongst 370Z owners. Our comment: STS are well-known in the tuning scene for their work on muscle cars. This time, they have brought this unique rear-mounted single turbo offering to the 370Z market for those of you who are looking for something a little different. Our comment: SFR gained a huge following in the 350Z world with their DE offerings, however, they’ve seemingly gained little traction with their 370Z turbo kit. As expected from SFR, it seems to be another fanatastic offering but with little popularity. Our winner is the Fast Intentions Turbo Kit. 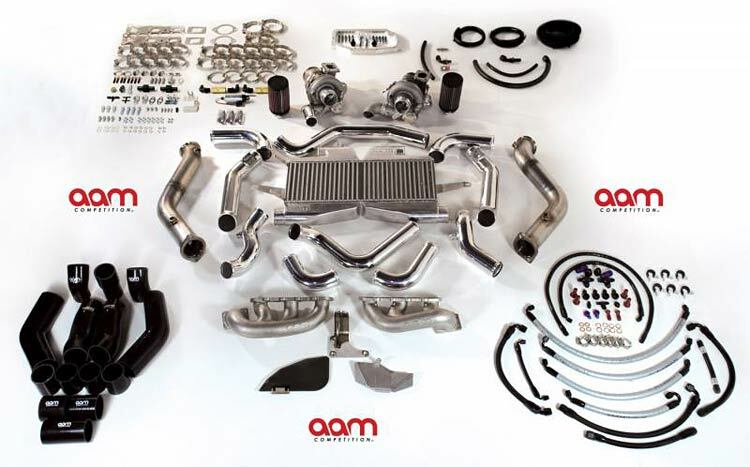 To pick our winner from this choice of 370Z turbo kits we looked at a number of criteria; ease of installation, power levels, upgrade potential and price point. Based on these criteria we have chosen the Fast Intentions Turbo Kit to be our winner. 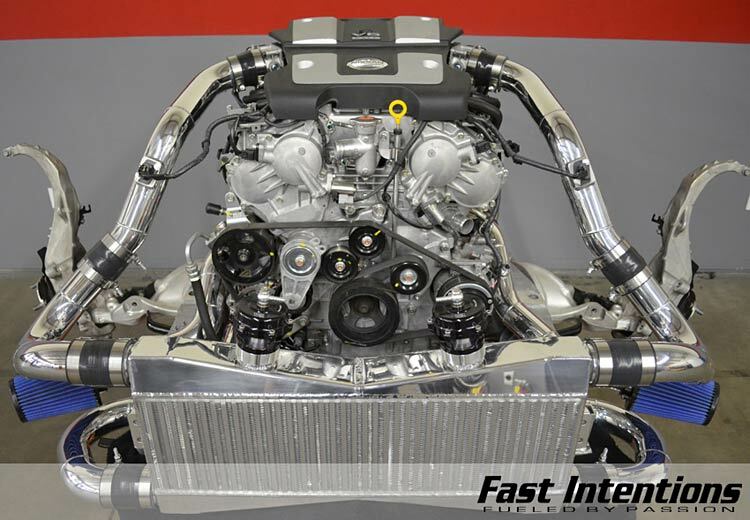 U.S. based Fast Intentions are known for their impressive workmanship and customer service, particularly amongst 370Z owners. With a fantastic kit and impressive gains, it’s easy to see why so many Z34 owners have opted for running their turbo kits which have also boasted impressive reliability over time. Thinking a supercharger may well be the better choice for you? 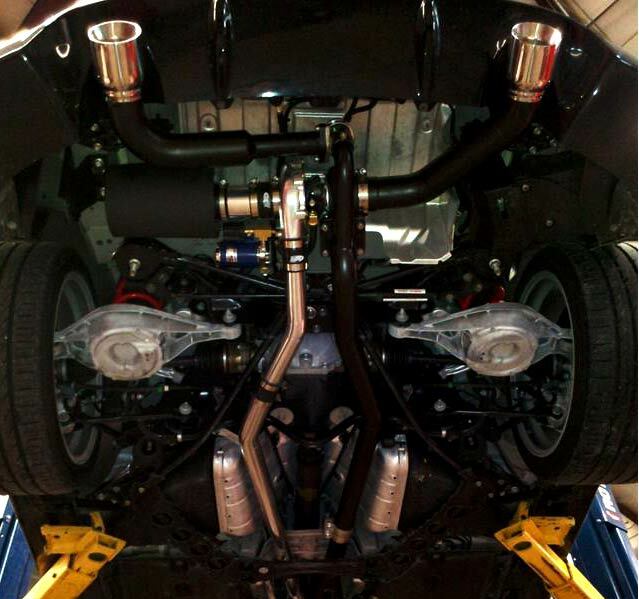 Check out our 370Z supercharger kit guide. Want another power bump? 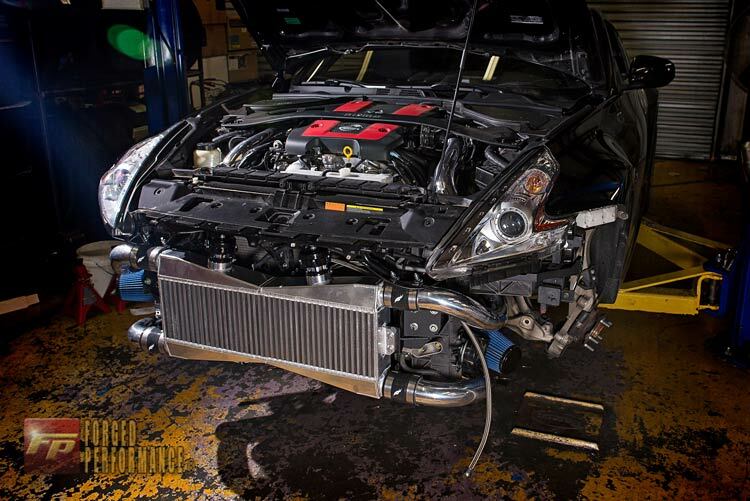 Our 370z headers guide is just for you. Do you own the 370z’s sister car, the G37? Great, you can try our G37 turbo kit guide.